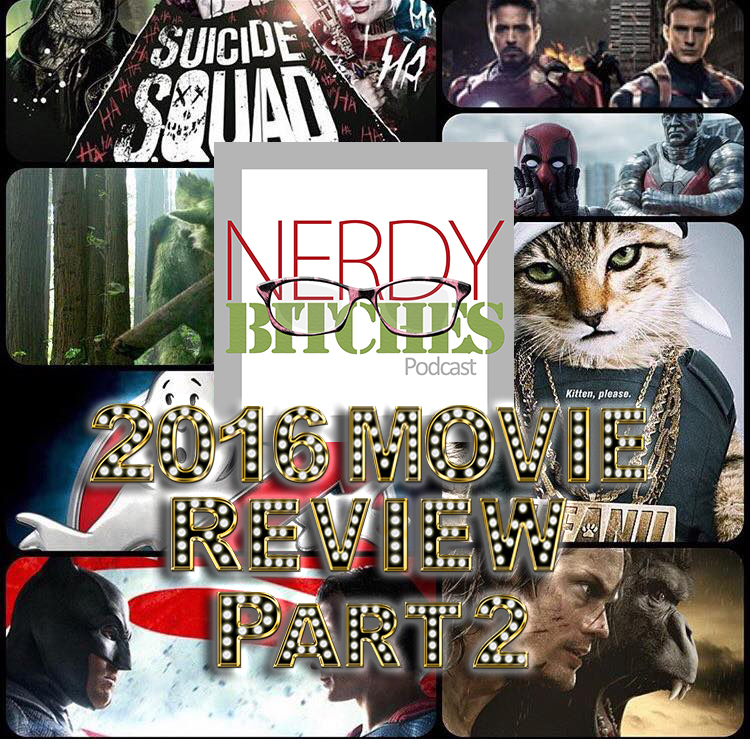 In this episode, Liz and Heather complete the 2016 Movie Review – Part 2. Listen is as we continue talking about the movies we have seen, those we haven’t, and the ones we are looking forward to between now and the end of the year. Picking up where we left off in last week’s episode, we got halfway through May, so here we roll! Angry Birds The Movie – We didn’t see, nor do we really care to see. We may come across it at some point, so time will tell. X-Men: Apocolypse – We liked it and may need to watch it again to get more of the details. We love their version of Quicksilver better than the one from The Avengers. We also really like Wolverine, obviously. Finding Dory – We haven’t seen it and heard it isn’t that great, but we will see. Teenage Mutant Ninja Turtles 2 – Haven’t seen, not big fans of Michael Bay. The Nice Guys – This one didn’t get its due, so go check it out. Very much in the vein of Lethal Weapon. So much fun – high praise from Heather! Swiss Army Men – Harry Potter becomes a human swiss army knife. It looked really good and funny, so it is one to check out. We haven’t seen it yet, but we will track it down when it comes out. The BFG – This was a childhood classic book, so we will probably come across this movie. It came out right around the time we were doing Comicpalooza, so it was a tough time. Independence Day: Resurgance – We didn’t get to see this and we really wanted to, but it was super slammed in the reviews, so I guess we will come across it sooner or later. Warcraft – We weren’t into the game, but the trailers look pretty epic, so maybe we will see it at some point. Video games don’t always translate well to movies, so we will see. Secret Life of Pets – We were so interested in seeing this! The previews started coming out back in January and looked so good! Neither of us had the chance to see it, so we will see it at some point. Ghostbusters – People crapped all over this movie, but it was awesome. It wasn’t the same as the original movie (which honestly wasn’t the best movie ever – it survives on nostalgia), and that was the best part. It didn’t throw the fact that they were all girls in your face. They just were. They were smart and awesome. Star Trek Beyond – We both liked it better than the last one. It was a good movie and had some great comedic moments. They did a lovely nod to the death of Leonard Nemoy, which we really loved. The Bones/Spock/Kirk relationship in this movie was amazing and really nods back to the roles they had in the original series. Check out For The Love of Spock on iTunes – It’s a documentary by Adam Nemoy (Leonard Nemoy’s son) talking about the life and career of his dad. It was beautiful and completely worth watching. Plus, Beastie Boys Sabotage being played as “classical music” was pure awesome. Batman: The Killing Joke – Came out for one day only before the DVD release. We went to see this with several other area podcasters and that part was fun. The show is twelve shades of fucked up. In our next episode, we finally get around to talking about our Book Club episode on Pride and Prejudice and Pride and Prejudice and Zombies. Ghostbusters was OK. I’m glad I saw it, and would watch it again if it came to HBO or Netflix.